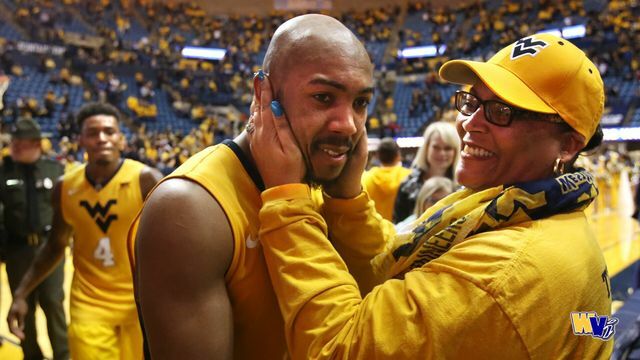 Jevon Carter celebrates a win over Iowa State with his mother. 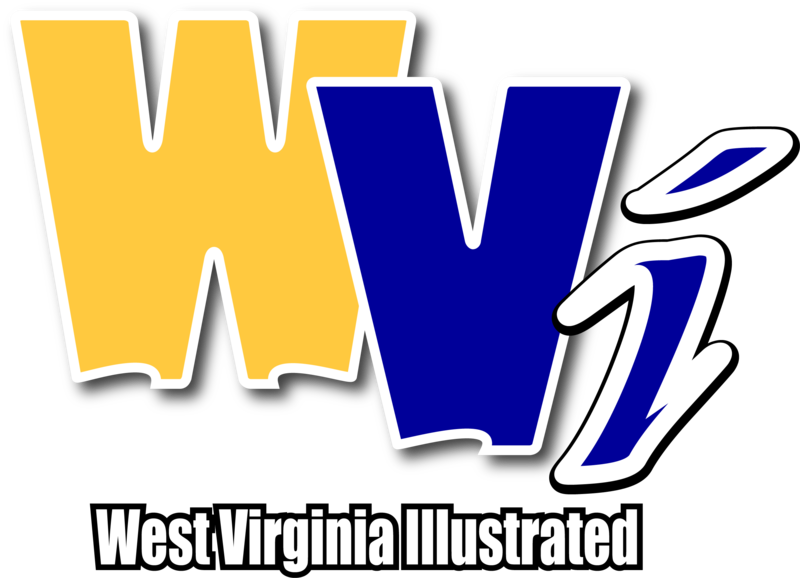 MORGANTOWN, W.Va. - It was another memorable year for West Virginia and its fans, filled with exciting games and emotional moments. Our 10 most popular headlines from 2018 sum up the biggest moments of the year that was. Prior to WVU men's basketball's Big 12 victory over Kansas State in February, a technical glitch caused the microphone to fail during the national anthem at the WVU Coliseum. 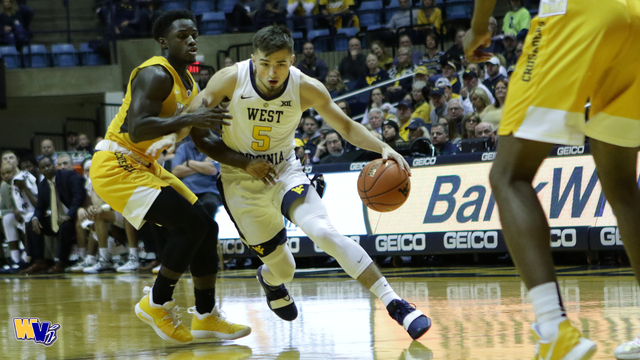 One of the more disappointing moments of 2018: Despite a valiant effort on the road -- and 25 points from senior guard Daxter Miles Jr. -- the Mountaineers fell to then-No. 13 Kansas 77-69 at Allen Fieldhouse. West Virginia was whistled for 26 fouls in the game, and Kansas shot 35 free throws, while WVU took just two shots from the stripe. Afterward, head coach Bob Huggins said WVU "should have won the game." WVU quarterback Will Grier threw for 429 yards and 5 touchdowns in the 40-14 season-opening victory over Tennessee. WVU has confirmed (Grier) will not participate in the Camping World Bowl vs Syracuse. The 2018 season for WVU football began with a promising victory over Tennessee in Charlotte, and it was a win that was greeted by substantial fanfare. 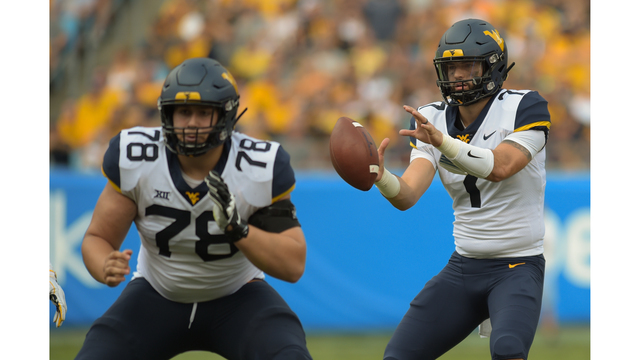 The Mountaineers took the momentum from that season-opening win in Will Grier's home state and turned it into a 5-0 record to start the season. West Virginia's bowl draw vs. Syracuse was one filled with nostalgia for longtime fans of the program. It was announced in early December that the two former Big East rivals would meet in the Camping World Bowl Dec. 28. No. 3 – ESPN's Mike Patrick on WVU Football: "I think they're going to win a lot"
Before the 2018 football season began, longtime ESPN broadcaster and West Virginia native Mike Patrick predicted that the Mountaineers would compete with college football's elite. Patrick compared Dana Holgorsen's unit to Don Nehlan's 1988 team that lost to Notre Dame in the Fiesta Bowl. West Virginia commemorated the 30th anniversary of that team's success during one of WVU's home games this season. WVU basketball fans rallied around Jevon Carter during his playing days as a Mountaineer, and they continue to root for him as he begins his professional career. Our most-clicked link in 2018: A recap of Jevon Carter's record-setting home outing against Iowa State. The former Mountaineer star became the first WVU player -- and just the fifth athlete in NCAA history -- to amass 1,500 points, 500 rebounds, 500 assists and 300 steals in a career.